These cards look great when they're displayed together. We've done the hard part for you, matting them. You can display them as-is, or have them framed. 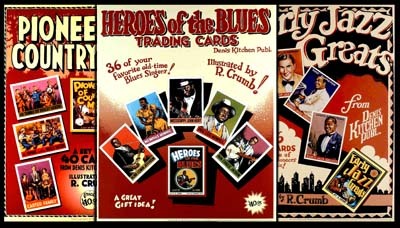 A great presentation anywhe..
Robert Crumb's Heroes of the Blues card set features the cream of the genre's early practitioners, the foundation of rock and blues rock. 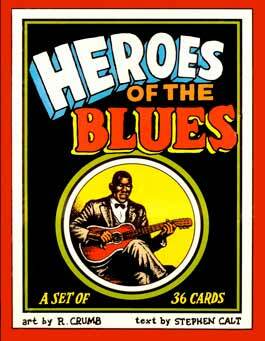 Yazoo Records Originally issued the cards in 1980. 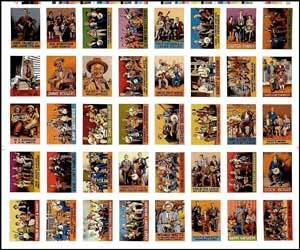 Publisher Dennis Kitchen reissued the 36-card set in 2002. 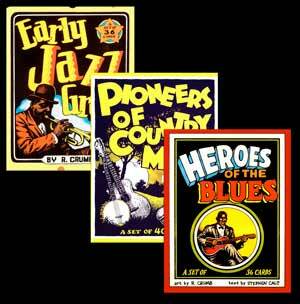 Artists in the set are always found on the finest blues compilations, and are staples on blues radio shows throughout the country. 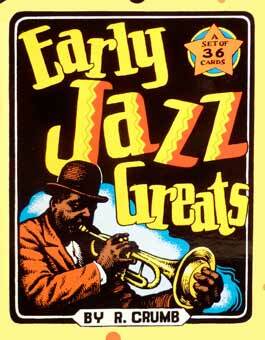 They are truly the greatest blues artists of all time. 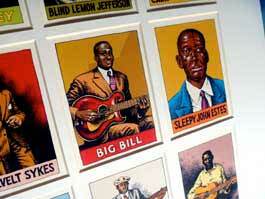 Its companion sets, Early Jazz Greats and Pioneers of Country Music, are also superbly done. Click on the boxes to explore or purchase the sets or associated products. I also distribute these to record shops at wholesale prices, and sell them alongside my posters at my OptikRock.com web store. 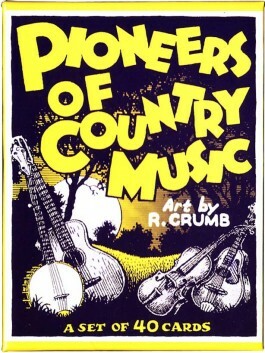 I am a lifelong fan of Crumb. 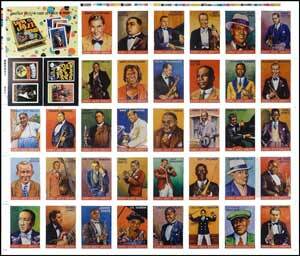 And, apart from being part of my livelihood, these musicians have added immeasurably to the quality of my life. Every rock fan owes them a debt of gratitude. Please subscribe for updates to the site below. PS: If you are a reseller, call me at 916 501 3937 for wholesale information.